While the origins of substitute players in football goes as far back as the early 1860's when organized English public school matches sporadically allowed teams to swap out injured players, it would take nearly 100 years before professional football even considered such a thing. Through much of football's history though no substitutes were allowed in a match, which often led to players having to stay on the pitch and soldier on if they were injured or fatigued, and occasionally left sides having to play short a player if someone was hurt to the point that they had to leave the pitch. On the notoriously tough pitch at Wembley Stadium, two FA Cup Finals were ruined in a four year span. In the 1957 showpiece final, Manchester United went down to ten men against Aston Villa after goalkeeper Ray Wood suffered a broken cheekbone with only six minutes played. Despite a valiant effort by the Busby Babes, Villa predictably went on to win the match by a score of 2-1. 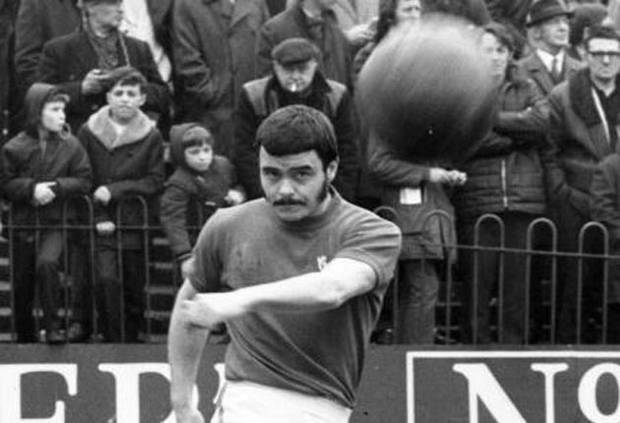 To add insult to injury, it was Villa forward Peter McParland who had knocked Wood out of the match that scored both of the Birmingham side's goals. In 1960 it was Blackburn Rovers that were cursing their luck at Wembley when the future Wigan Athletic owner Dave Whelan went down with what turned out to be a career ending broken leg on 43 minutes. Playing with an extra man, an already strong Wolverhampton side shrugged Blackburn aside 3-0 to take the cup back to the Black Country. 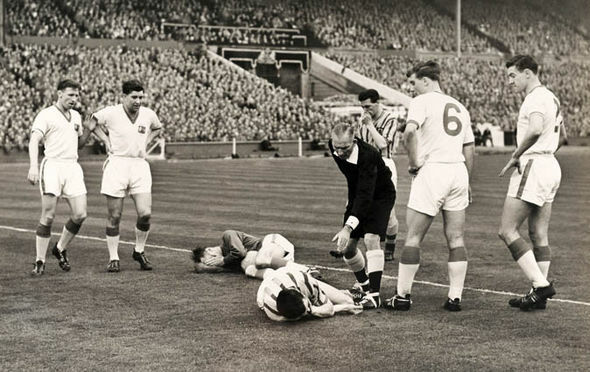 With the high profile nature of incidents such as this the English Football League had no choice but to soften their stance on substitutions and for the 1965/1966 season they would allow for one substitution per side that could be made to replace an injured player. Fifty years ago this week, Charlton Athletic's Keith Peacock became the first substitute used in the Football League when he replaced his side's injured goalkeeper Mike Rose, eleven minutes into their away match against Bolton Wanderers. 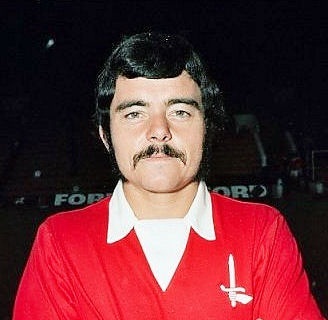 The midfielder, who was a one club for life man that made 532 appearances for Charlton between 1962 and 1979, was unfortunately unable to prevent a 4-2 defeat for his side though. The league would persist with it's rule of only one substitution allowed per side in the case of injury for two seasons before seeing sense and eventually allowing for tactical substitutions as well.